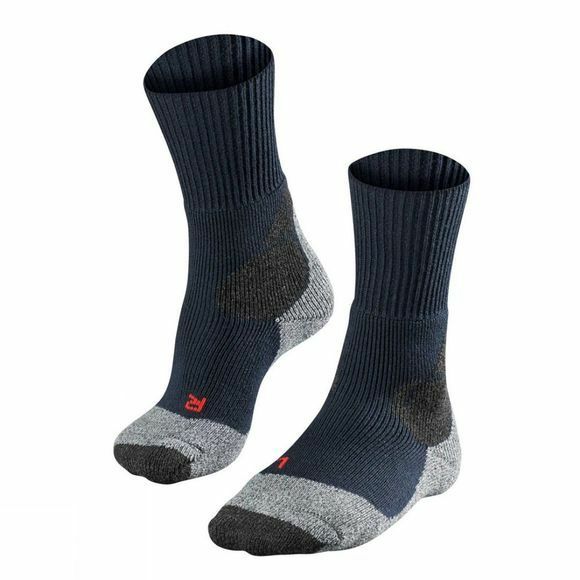 The Falke MenS TK4 sock is a High volume trekking sock ideal for long treks and summer alpine trips. Using Merino wool helps regulate foot temperature as well as having a natural anti-bacterial action helping keep odours at bay. They have extra knitted loops to provide extra cushioning and help reduce the risk of blisters. High level of protection and heat insulation. Merino wool for best heat insulation and moisture management.